After working as a high school and college teacher for 8 years, Gibs Nielsen moved to Dwight, where he owned and operated the Nielsen Grain Company for 47 years. 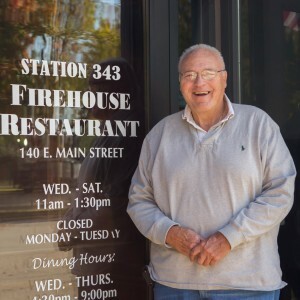 In addition to the grain company, Gibs has successfully run two construction companies, run a trucking company, and helped to start one of Dwight’s current restaurants. Gibs has been an active member of the Dwight community since moving to town, having spent 20 years on the school boards, 16 years on the village board, and as president of the Dwight Planning Commission. He has also represented Dwight’s interests at the county level, having served as the Chair of the Livingston County Zoning Board of Appeals. Gibs is deeply involved in community organizations. He is a member of the Masons (32nd Degree), a member of the Danish Brotherhood, and serves as a trustee of the United Methodist Church. Gibs has a BS in Business Administration and an MS in Education from Northern Illinois University.